Some New Snacks for December! We love to snack here at SnackWize. So much so that we built an entire business around it. It’s a tough job, but someone has to do it. And that includes the really difficult job of sourcing and taste-testing some great new products to launch this December. We scoured the globe to find the healthiest, most delicious snacks around. Say goodbye to the 3pm slump/bloat/hanger. You’re welcome. 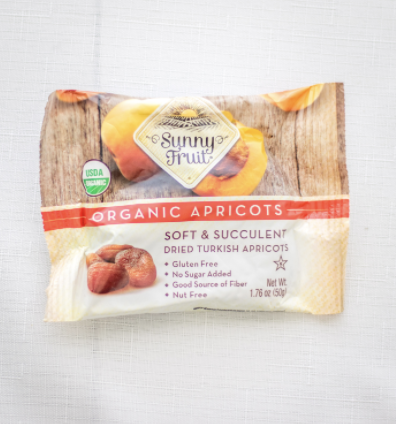 In December we’ll be introducing Sunny Fruits Organic Dried Apricots as well as their Organic Dried Figs. As well as being everything but fig- and apricot-free, both contain a wide variety of health benefits. Apricots are very high in vitamin A, which includes several carotenes that release powerful antioxidants – important for good vision and healthy skin. They are also a good source of vitamin C and fibre, so snacking on apricots keeps you full for longer. If that wasn’t enough, figs are absolute powerhouses. They’re often recommended for digestive issues, as they provide a natural laxative effect due to their high fibre content. Many of us consume too much salt, which can lead to deficiencies of potassium. The imbalance between sodium and potassium can lead to hypertension (high blood pressure); figs increase your potassium intake and help to naturally lower your blood pressure. They are also an excellent source of prebiotics and calcium. Wow. Go figs. Despite becoming trendy only recently, seaweed has been used for thousands of years. The most popular species is nori, which is dried in sheets and used to make sushi. Other common varieties include dulse, arame, wakame, kelp and spirulina. All types contain a rich supply of minerals, including calcium, copper, iodine and iron. They are also rich in protein, fibre and vitamins, specifically vitamin K and folic acid – all while being low in calories and fat. It’s thought that seaweed helps the body fight illness and disease. The Japanese have one of the highest life expectancies in the world, and one significant, standout dietary habit is their regular consumption of seaweeds. Seaweed with a bit of salt is a delicious, healthy snack, and a good alternative to chips. Rather than being cooked under intense heat like jerky, South African-style biltong is air-dried in a controlled temperature. This ensures it doesn’t lose its nutrients. Being Australian grass-fed meat, it also has a much better fat quality than regular beef, as well as far more antioxidants and vitamin K2 (for bone and heart health). Free from gluten, soy, GMOs and additives, this biltong is also high in protein (of course!) and healthy fat content, making it a delicious, filling snack, and great after a workout. 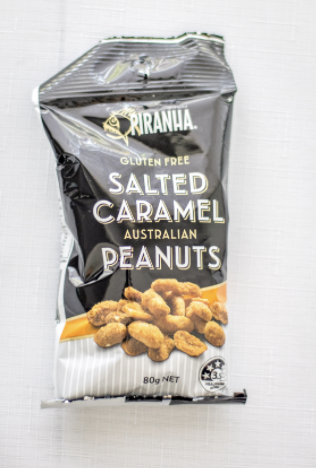 As if peanuts could get anymore delicious, Tixanna doused them with salted caramel for one hell of a delicious snack. And while it may sound like a treat, peanuts have some incredible health benefits. First of all, peanuts are a surprisingly good source of dietary protein, as well as resveratrol, an antioxidant. Resveratrol has been found to have a protective function against cancers, heart disease, degenerative nerve disease, Alzheimer's disease, and viral/fungal infections. It’s good stuff. Peanuts are also packed with important B-complex vitamins, as well as minerals like copper, manganese, potassium, calcium, iron, magnesium, zinc, and selenium. Just a handful of peanuts per day provide enough of the recommended levels of phenolic antioxidants, minerals, vitamins, and protein. With a SnackWize subscription, expect a bounty of protein balls, kale chips, trail mixes, nuts, jerky, nuts and more delivered to the door each month (or however frequently suits you). Talk to us now about how SnackWize can help you fuel your – and your workmates’ – bodies better.